If you didn’t listen to the NPR report Why a High High Schooler Started Covering The Supreme Court, on this morning’s Weekend Edition Sunday, you should definitely do so! Do it right now, before you forget. OK, now that you’re back, let’s discuss a few things about this remarkable report. What we have here is a small group of high-school students who write detailed, in-depth (very in-depth) analyses of the Supreme Court, including fascinating interviews with relevant people. The interviews are just as in-depth. So check out the blog as well as the NPR report. I was blown away — but not entirely surprised — by how articulate the blog’s 16-year-old founder, Anna Salvatore, was on the radio. Not that that was in any way unique, as I know quite a few students, at both Weston and Crimson Summer Academy, who are equally articulate. We know from the aftermath of Parkland that there are plenty of super-articulate teenagers out there. But very few are geeky enough to go into this kind of detail about the Supreme Court, a topic that rarely captures the interest of young people even though of course it should. 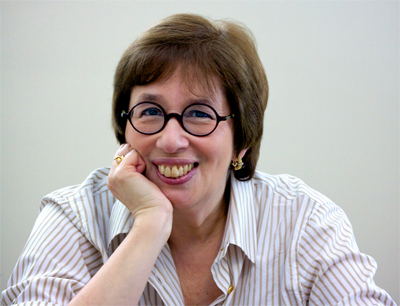 I especially recommend the excellent interview with journalist Linda Greenhouse, for a variety of reasons. Do set aside enough time to read it, and don’t cop out with “tl;dr.” Although Linda Greenhouse is (almost exactly) my age, she has a lot to say to and for young people. Even as a fellow undergraduate she was something of a role model for me at the time and has remained so ever since. You may be wondering why I’m writing here about politics, law, and journalism — topics that I don’t usually address. If you’re wondering, it’s because I have inadvertently presented a misleading picture of myself in this blog, giving the impression that my topics of interest are pretty much only math, linguistics, teaching, model railroading, and cats. Nevertheless, when students ask me what my favorite course was in school (as they do sometimes), they are usually surprised when I reply without hesitation “AP US History,” or APUSH as they all call it. They expect me to say, of course, “Precalculus” or “AP Latin,” which would have been more obvious choices. And from the 20,000-foot view my favorite departments were indeed math and Classical Languages. But my favorite specific course was definitely APUSH, especially the parts dealing with the Supreme Court. And that’s not entirely a coincidence. I’m sure the system has changed enormously in half a century, but when I was at Phillips Academy we all took APUSH, as it was a required course, but it had a unique format: each of the course teachers (five or six in all) published a description of their own approach to this course, and then those of us who were signing up for it could list up to three preferences in order! Avoiding the teachers who would emphasize military history or economics or foreign policy (not to mention the coach and part-time history teacher who explained that “history is like a hockey game”), I quickly put down Leonard James as my first choice, since he was the author of The Supreme Court in American Life and promised to explore U.S. History through that lens. I learned more in that course than in any other single course in high school! It was not just the perspective of this particular section, but more the common expectations of every teacher of the course: we had no textbook, we were given a rough outline of each unit along with suggested resources and exploratory questions, and we were expected to take extensive notes from our readings and our classes. We were required to distinguish facts from opinions, reading several interpretations of any particular historical event or series of events. I kept track of my time, and discovered at the end of the year that I had spent an average of 20 hours per week on this course alone! It was well worth the investment in time, as it became immensely valuable. As I described in this space seven years ago, it taught me a tremendous amount about American History and the Supreme Court. More importantly, it taught me a tremendous amount about how to learn.